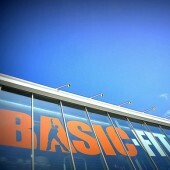 Basic-Fit community is a supportive space to share your journey towards a healthy body and healthy mind. Here, you can meet other members and you can post messages, pictures and movies to share your challenges & triumphs. Buddy-Up with people online and at the club to make training more fun. Join thousands of positive people in the Basic-Fit community and take your fitness to the next level!